Like The Lost Camel the Outback Pioneer Hotel and Lodge is a 3,5 star accomodation and located withinthe Ayers Rock Resort. 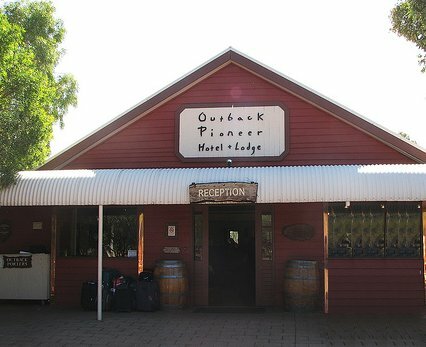 The Outback Pioneer Hotel has its own bar and BBQ area. 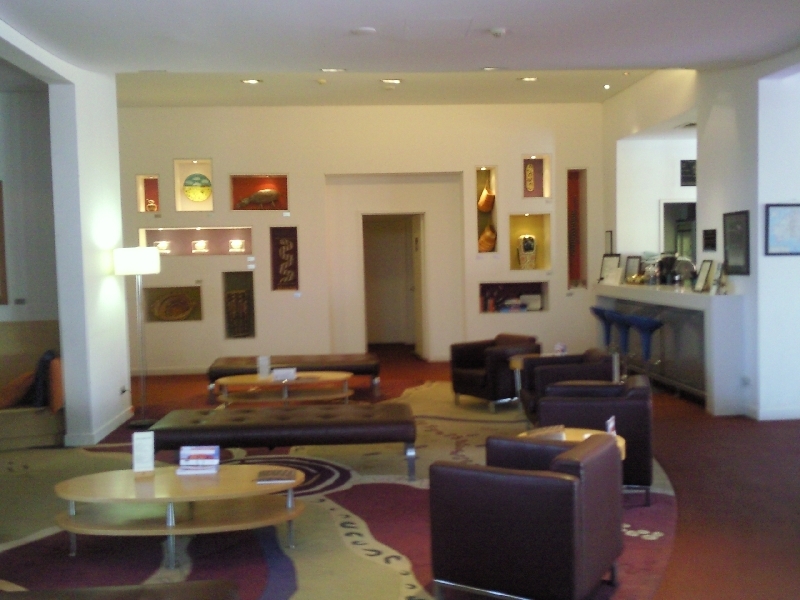 You´ll find live entertainment nightly at the BBQ Bar and there are also pool tables for the guests to use. The Emu Walk Apartments are second on the shuttle tour around the Ayers Rock Resort and placed between the Lost Camel Hotel and the Desert Gardens Hotel. 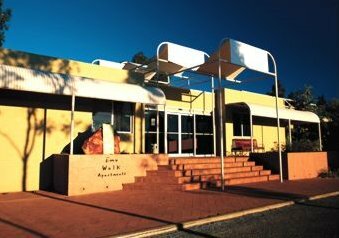 4,5 Star The Desert Gardens Hotel is the first hotel on your left when you arrive at the Ayers Rock Resort from the Yulara Airport. 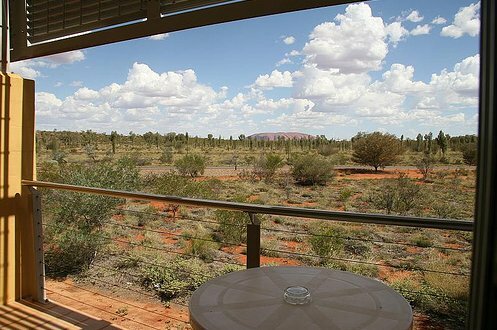 The Hotel has great views of Uluru and is placed in a lovely outback garden. 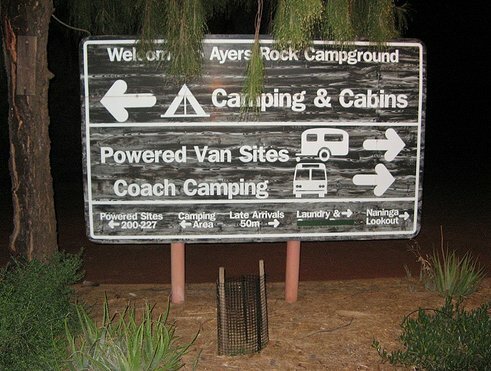 Camping at Ayers Rock instead of staying at one of the hotels will help you to save money. The hotel accomodation will cost you around 400 AUD per night for two persons when camping won't even cost you 50 AUD per night. Naturally you will miss out on all the comforts the other hotels have to offer but then again you wont be paying for them either. 3,5 Star The Lost Camel Hotel is located pretty central in the Ayers Rock Resort and it's the closest accomodation to the Runshopping Centre where you'll find the Geckos Cafe, the Geckos Takeway and the Red Rock deli.